Closings do not always take place between 9 am-5 pm, and problems certainly don’t restrict themselves to that time frame! Our expanded hours mean that we are available to answer questions and resolve any issues that may arise during early morning and late evening closings. We are also available for rush commitments and lot lookups to accommodate closings on short timelines unlike most other title servicing companies. We work with more underwriters than anyone in North Carolina! We know that you have compliance and customer service deadlines, and we always work diligently to make sure you meet them. Our lot lookup (prior policy) requests are typically done within 15 minutes and title commitments have a one hour or less turnaround time. 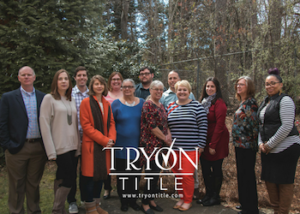 At Tryon Title, you can expect speedy service done by an experienced in-house staff. Our onsite underwriters boast a combined service tenure of over 60 years. When it comes to the title business, they’ve seen and handled it all, so they are ready for whatever challenges come their way. Unlike most NC title insurance companies we’ve created on online portal for all of your requests. 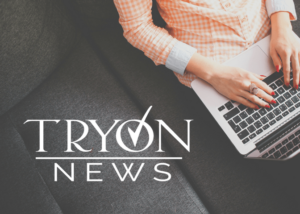 TRYON EXPRESS will save your team time AND money.